When it comes to replacing lost teeth, dental implants are most often the treatment of choice. Unlike dental bridges or partial dentures, implants are installed into the jawbone, effectively replacing a tooth right down to the bone. 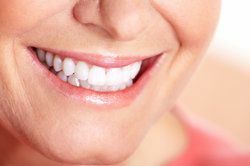 The advantages of implants include a stronger bite, greater stability for accompanying restorations, and the retention of surrounding bone tissue. On the other hand, implants require a period of recovery from oral surgery. If you are considering dental implants for one or more teeth, it is helpful to know what to expect from the recovery process. As a courtesy to our Red Bank patients, the following recovery timeline for dental implant surgery is provided by our cosmetic dentistry practice. Once surgery is over, you will likely remain fatigued and lightheaded from sedation. Make sure that someone is there to assist you with necessary responsibilities, including driving. As you arrive home, you may find that the implant continues to bleed mildly; this is normal, as the incisions are still new. Any bleeding should be easily manageable with gauze and a very light touch. Additionally, you will not immediately feel pain from the implant, as the dentist’s anesthesia is still in effect. Nevertheless, you should begin taking painkilling medication as soon as your dentist recommends. If you are wary of taking a prescribed painkiller, some patients can effectively curb their discomfort with over-the-counter medication containing ibuprofen or aspirin. The effects of oral surgery will be most prevalent in the first week, increasing over the first three to four days before gradually subsiding. In addition to discomfort, the two most common side effects from dental implants include bruising and swelling. Bruising may appear along the jawline, briefly increasing once swelling goes down, but otherwise disappearing by the end of the week or soon thereafter. Likewise, swelling should begin toward the end of the week, although it is generally the last to completely resolve. Patients who have previously had oral surgery or had a bone graft prior to implants can expect more pronounced and prolonged swelling. Most patients are able to return to work and daily activities the very next day after surgery. For multiple implants or those who take longer to recover from oral surgery, an extra day or two may be recommended. Even though patients may feel completely healthy and recovered in a week or two, it actually takes months for the jaw to fully heal around the implant. This process is called osseointegration, wherein the implant fuses with surrounding bone tissue, similar to the roots of a natural tooth. This process itself is painless and merely requires time. However, it is important to be aware that the implant and underlying bone are still relatively weak. To this end, it is helpful to avoid hard or chewy foods that may pull the implant upward or put extra pressure on it. It is also best to avoid chewing on or near the implant at all until osseointegration is complete. Although individual timelines vary, this stage of recovery usually takes between three to six months. Once your dentist has determined that your implant has properly fused with the jaw, it is ready to be capped by a permanent restoration. In most cases, this includes dental crowns for the replacement of individual teeth. However, implants can be used to support a variety of dental restorations, including bridges and dentures. No matter how teeth are replaced, a well-crafted porcelain restoration is nearly indistinguishable from normal teeth. Once installed, your implants will have both the appearance and strength of any regular tooth. We look forward to helping you restore your smile, whether through implants or another one of our treatments. Contact us to learn more or to set up an appointment with Dr. Michael Bixby.